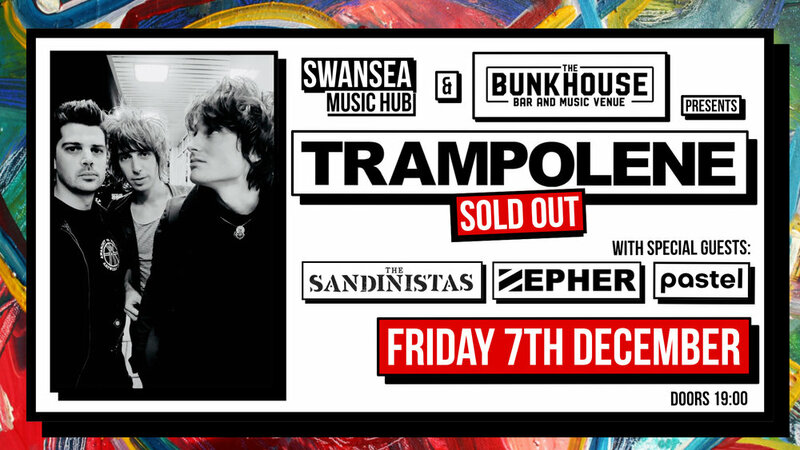 The long awaited return of Swansea’s own Trampolene finally hit The Bunkhouse on the 7th of December, and the boys did not disappoint, giving us all a night to remember. 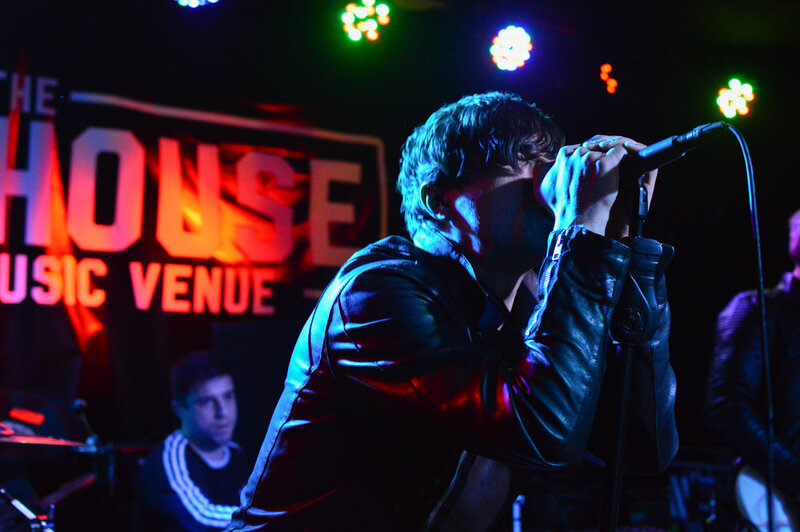 As the floor quickly filled, seconds before the band were due to hit the stage, voices simmered as a violinist played the Welsh national anthem, a perfect way to start this massive homecoming show. Soon after, through the swarming crowd, singer and guitarist Jack Jones struts on past with a grin on his face, his own recital of teenage experiences in ‘Artwork of Youth’ blearing through the speakers. 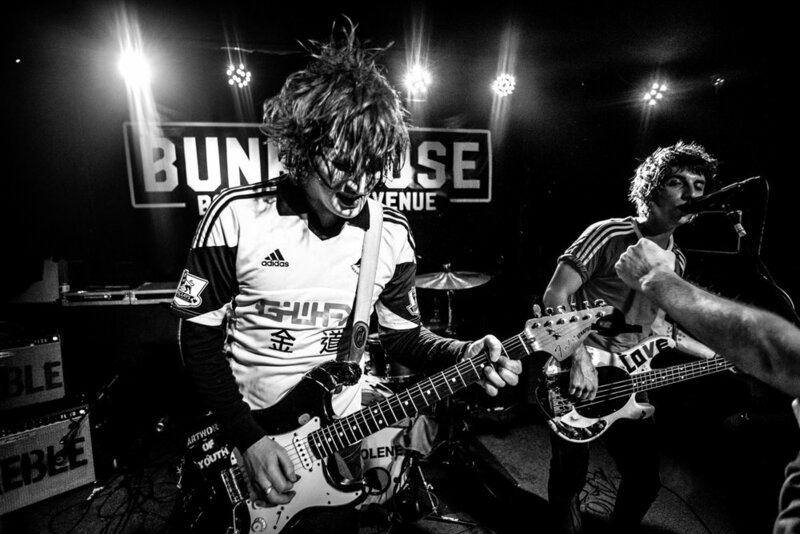 Wearing the iconic monster-like fur coat that loyal Trampolene fans would recognise, he joins his fellow partners in crime, bassist and vocalist Wayne Thomas, and drummer Rob Steele onstage. 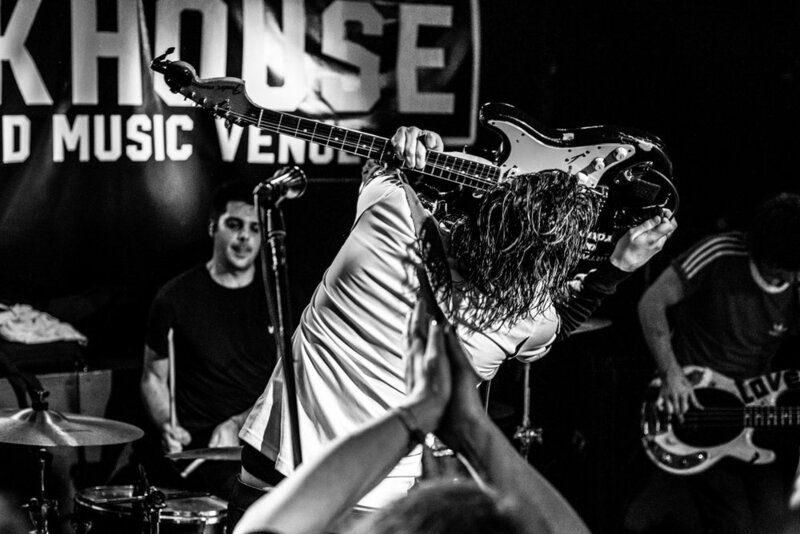 The boys begin thrashing through their chaos-bringing anthems, amongst which is ‘It’s Not Rock & Roll’, the relentless opener of their second album ‘Pick a Pocket or Two’. 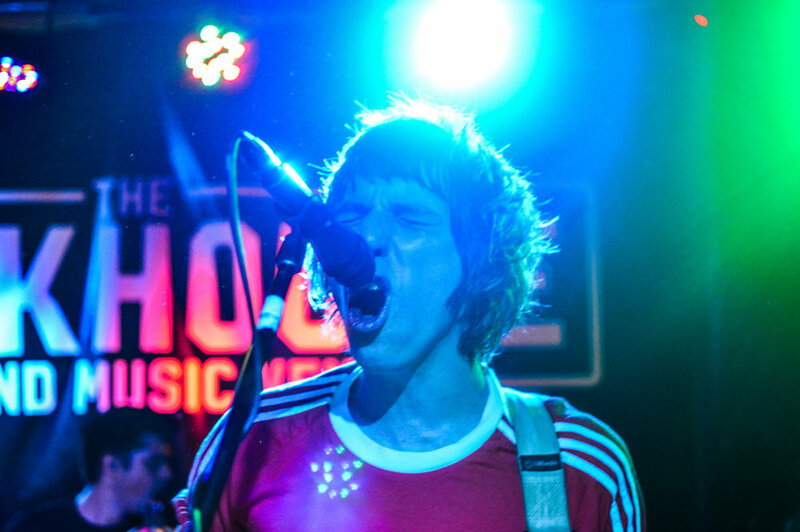 The front are sent into a thrashing of their own, bouncing away to the sound of the energetic riffs and driving drums. 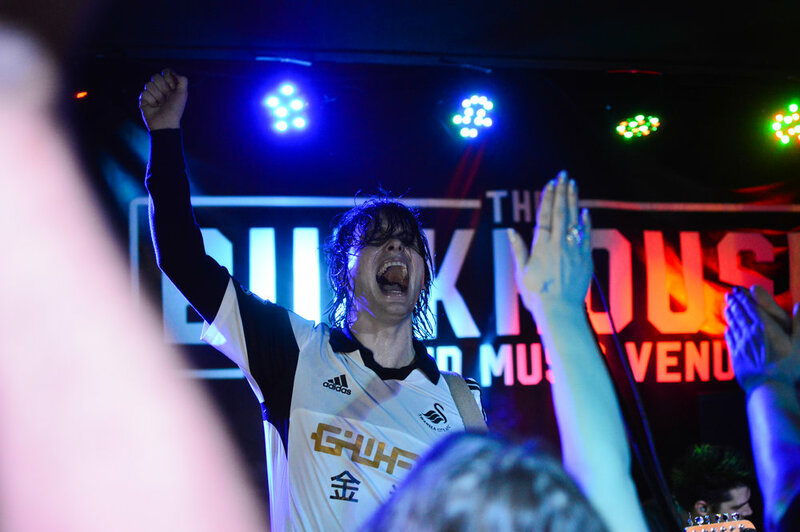 Greeting his adoring fans, Jones embraces the arms that are flinging towards him, standing proudly sporting the shirt of his native Swansea City’s football team. To the right, Thomas is belting the lyrics to the catchy choruses passionately into the mic. 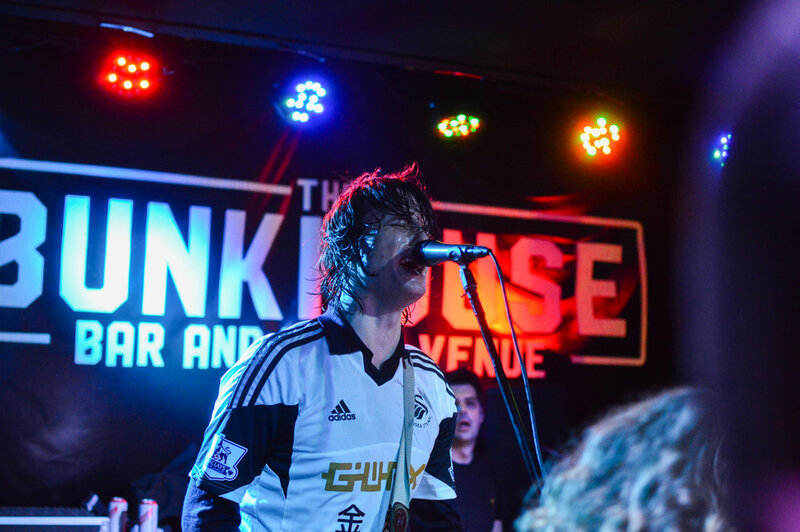 Behind the swinging guitars and flying sweat, sits Steele, calmly but loudly bashing in harmony with the storm of noise, the Welsh flag draped over the bass drum. The ever so humble Jones pours his heart out as his almost tearful expression shows it, grateful for the lively response of his hometown, shaking the hands of everyone in his sight. But there’s no time for being sentimental. 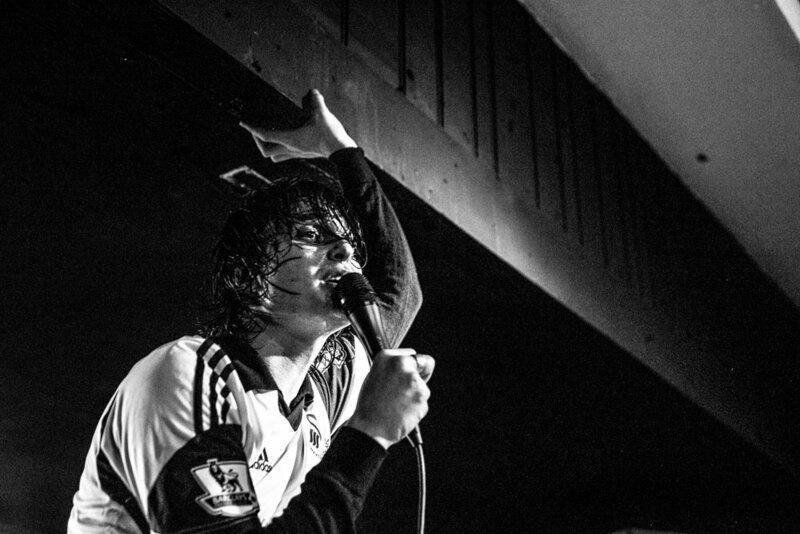 Jones quickly returns to the mic and screams ‘Tom Hardy’ into the sea people packed into the small venue, once again sending bodies crashing into a frenzy. When he brought out the acoustic guitar, the crowd knew that the band’s latest release, ‘The One Who Loves You’ was coming up, everyone singing along with Thomas’ backing vocals in the choruses - but nobody was expecting the very festive rendition of ‘Merry Christmas Everybody’. As the band draw near to the end of the set, they also cover the fitting ‘Friday I’m In Love’ by The Cure, which had the whole place singing. As a cloud of smoke fills the stage, lights strobing through the mist, it is clearly time for their last tune, ‘Storm Heaven’. The chaos of the song sends Jones crowdsurfing, and he perfects the solo when he lands back onstage, bending the strings with his teeth. He pumps his hand into the air as the show comes to an end, screaming triumphantly. The evening finishes with the popular spoken track ‘Pound Land’ (because it would be rude not to) and the crowd recite back every single word. 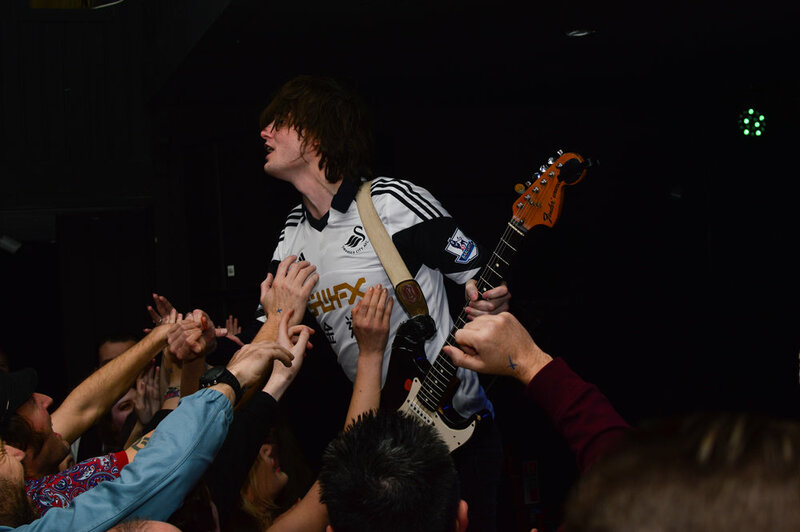 Trampolene disappear backstage, having proved again to be one of Wales’ finest up and coming bands.